As of writing, both Donuts & More locations are open 7 days a week from 4:30AM-2PM. Over recent decades, donut shops have come and gone. National chains have opened and closed and opened again. Fad diets shut down shops that once caused traffic jams. New competition has sprung up from gas stations and grocery stores. Through all of that, one QC donut shop has remained deliciously steady. Donuts & More has been a Quad City favorite for over 30 years, with locations in Moline and Davenport’s Hilltop Campus Village. A little over a year ago the business was purchased from its original owners, Tom and Jan Amyette, by Scott and Cris Ryder, who also own Exit Realty Fireside. The new ownership is probably more noticeable by what they haven’t changed than what they have. 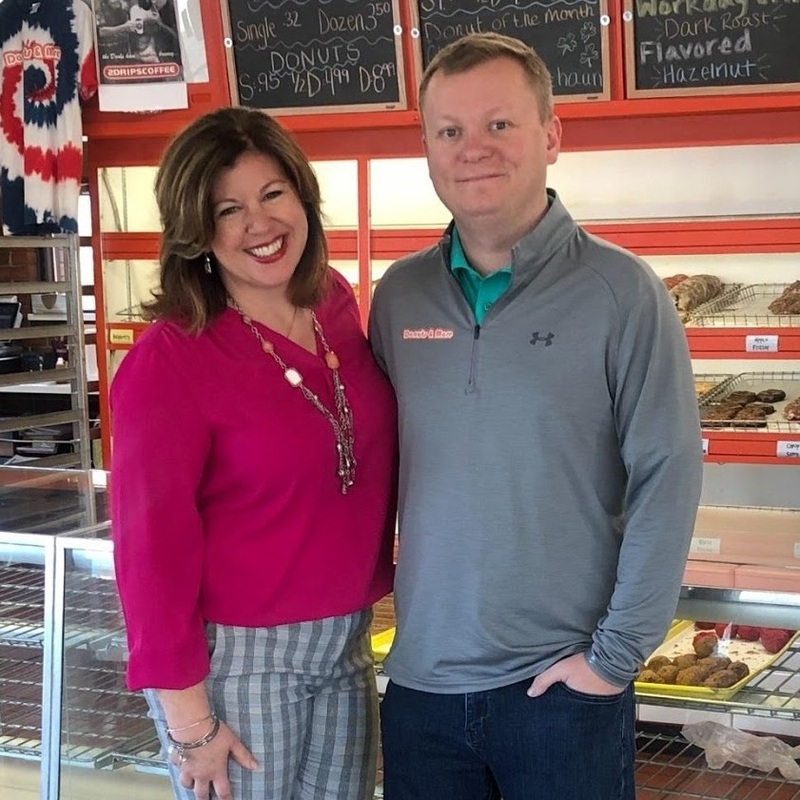 Scott and Cris don’t want to mess with what has made Donuts & More a favorite for generations, but they have been bringing new ideas and upgrades to the business. Some of these include less visible infrastructure upgrades, including new kitchen equipment that allows donuts to now be baked on site at both stores rather than just Moline. “They hadn’t actually made donuts out of the Davenport location for a long time,” Scott pointed out. There’s no such thing as too fresh, and baking in both locations increases how many donuts they can produce. Giving back to the community is a big part of the Ryders’ business plan, whether it’s dropping off free donuts to overworked snowplow crews or providing local events with hundreds of donut holes. Any leftovers at the end of each day are also donated to local charities. Thanks, Scott and Cris! Check out Donuts & More on Facebook and their website.